Facebook Messenger chatbots changed the landscape of online sales and marketing for ecommerce businesses. Artificial intelligence (AI) has allowed us to give personal attention to our customers, without the need to employ an entire team of people waiting to answer the phone or actively monitor a Facebook Page inbox. The key to using bots successfully is to make it appear like there is a live person when there is not. You don’t want your bot to sound so automatic that it will be ignored. You want them to appear conversational, and as close to a human interaction as possible. As you start to incorporate a bot strategy into your online store, you could be tempted to add additional bots to perform various functions. 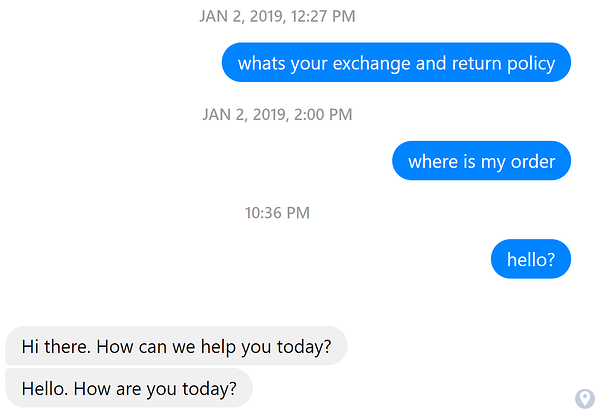 You may look for a bot that handles customer support really well, and then a different bot that pushes out marketing messages. Just because you can do something doesn’t always mean that you should. Adding more bots could seem harmless, since they perform different functions. The idea would be that none of the functions really overlap, so there shouldn’t be any conflicts between the platforms. While that sounds great in theory, in reality, it will lead to confusion for your customers. 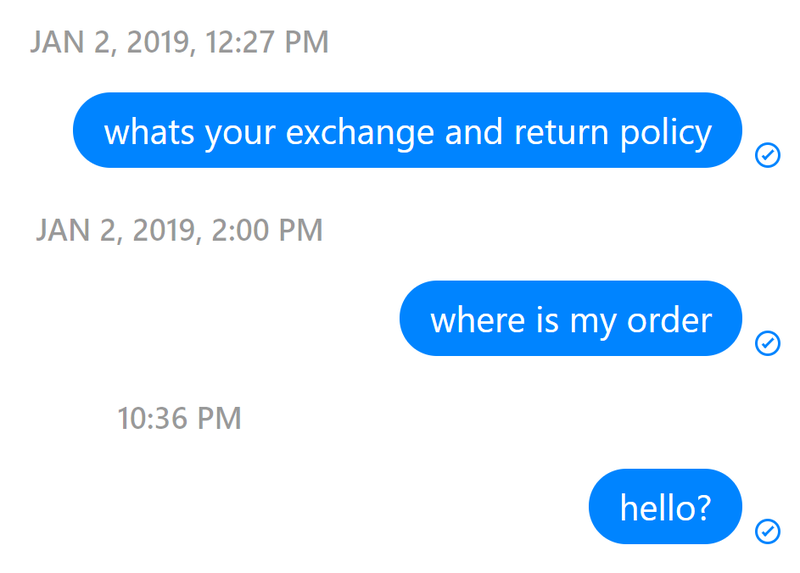 If you are using several bots the way a customer poses their question could end up sending them to the wrong platform. Maybe they have a customer support question, but they end up getting routed to your sales bot. Someone who gets a sales pitch when they are trying to resolve an issue will likely become extremely upset and frustrated with your store, and probably won’t return. Here are a few examples of confusion caused by multiple bot platforms. If you have different bots performing different tasks for you, they could get it wrong. Each bot may think that what your customer asked applies to them, triggering responses from both platforms. When your customer sees these conflicting responses or messages they could become confused, which will leave them with a negative view of your brand. Another problem that can arise when employing multiple bots for your online store could be a lack of response from either platform. When you have several different solutions you need to create specific rules to make sure the right bot will respond to the query. In doing so, you may limit it so much that the customer’s interaction may not fit in any of the categories previously programmed and no one will respond to your customer. While it is certainly possible to incorporate multiple bots into your online store, it is definitely not recommended if you want to give your customers a fluid more human experience. Since most chatbot platforms compete against each other, you won't see any integrations between the platforms. Everyone has heard the phrase “too many cooks in the kitchen.” You don’t want to open yourself up to the problems that could occur when you try to add too much to your Messaging platform. Do your research and find the bot that is best suited to your platforms. 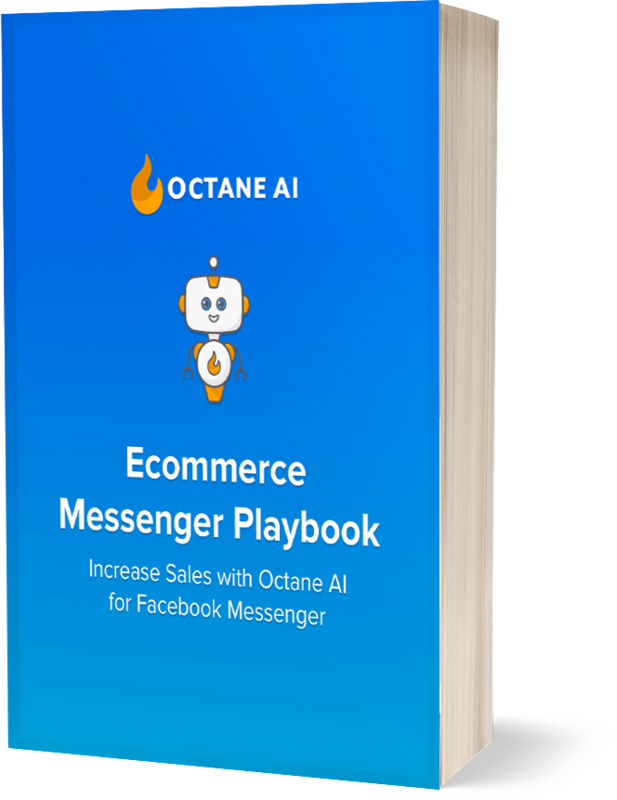 For an ecommerce business, you have a couple of options for chatbot platforms like Octane AI. Keep it simple and your customers will remain happy.